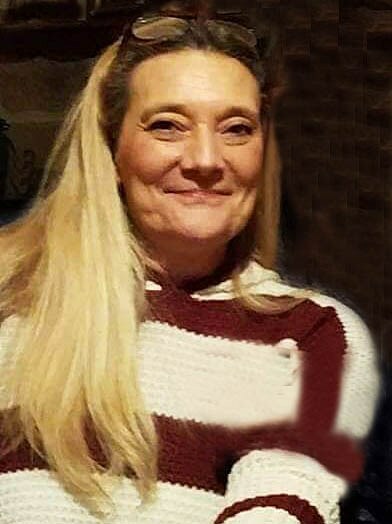 RUPERT – Teresa Joann Franks, a 57-year-old Rupert resident, passed away unexpectedly Friday, Nov. 30, 2018, in Rupert. She was born Feb. 21, 1961, in Rupert, Idaho, the daughter of Merlen and Diann D. (Ballard) Stapleman. It was 13 years later that her father, Leon Walton, came into her life. Teresa graduated from Minico High School in 1979, and, subsequently, went to work for J R Simplot Company where she was employed for more than 20 years. She married Casey Jones Chavez on Oct. 18, 1980. They welcomed their first child on Oct. 12, 1981, and named her Tosha Lynn Chavez; their second child, Terra Megan Chavez, joined the family on Dec. 24, 1987. She and Casey divorced in 1988. In 2006, Teresa met her fiancé, Dave Neiwert, and they have resided in Rupert with their “fur” babies. At the time of her passing, she was employed at Gem State Processing. She leaves behind her daughters and son-in-law, Elias Juarez; five grandchildren, Seriya Naranjo (Jimmy Morales), Issiah Naranjo (Destiny), Makaila Juarez, Ktresan Stimpson, and Tandyn Stimpson; and two great-grandchildren, Eziah Morales and Abriella Naranjo. The funeral will be held at 12 noon Saturday, Dec. 8, at Rasmussen-Wilson Funeral Home, 1350 E. 16th St., in Burley. Burial will follow in Rupert Cemetery. A viewing will be held from 10 until 11:45 a.m. preceding the funeral at the funeral home.